Passive optical LANs are dramatically faster, more efficient, sustainable, cost effective, scalable and adaptable to future requirements than traditional copper-based infrastructure. Optical LANs eliminate the distance constraints, power requirements and heat dispersion issues of copper. They deliver increased network security, performance and operational efficiency. There is no doubt: This is the future of networks. Simple – Optical LANs are simpler than copper. There is less equipment and cabling to house and maintain. Centralized management makes changes easier, faster and more cost effective. Fiber’s ability to converge multiple services into one medium dramatically simplifies operations. Secure – Optical LANs are immune to electromagnetic, radio frequency and electromagnetic pulse interference, and far less susceptible to intrusion than copper. 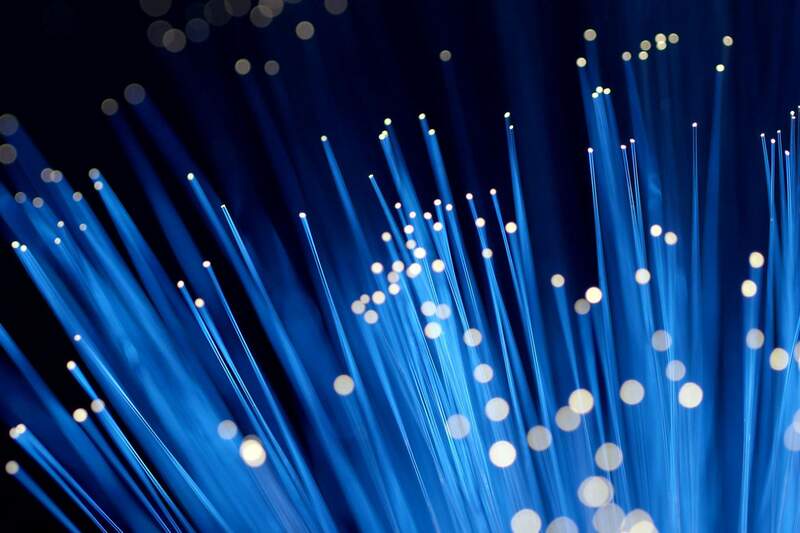 Scalable – Optical LANs’ endpoint capacity surpasses copper by a factor of four. Single-mode fiber cable used in optical LANs can reach 30 kilometers (18 miles) without signal regeneration. Superior density and reach, combined with lower installation costs, mean maximum scalability. Stable – Optical LANs typically deliver carrier-class 99.999 percent availability. Redundancy and distribution network options further protect availability. And optical cabling is futureproof, with the bandwidth to support migration to nextgen technologies without requiring replacement. Smart – Fewer electronics, less cabling, no telecom closets and lower power consumption mean reduced network costs. Greater density and reach along with future-proof cable bandwidth mean scalability to meet future needs. Add carrier grade reliability and black-ops-level security, and it’s clear that optical LANs are the smart choice. Enterprise includes a wide range of organizations, from small to mid-sized businesses to large multinational corporations. Priorities vary, but most would rank stability, scalability and security at the top. Optical LAN’s optimize network performance and realizes fiber’s long list of dramatic, measurable advantages and benefits compared with legacy copper LANs. The fiber-based LAN infrastructure unifies services and networks while reducing network downtime and increasing security. Optical LAN’s centralized intelligence and management simplifies the LAN. It enables LAN resources to be defined in software and then dynamically allocated based on real-time needs, enhancing today’s IT architectures such as wireless access (e.g. Wi-Fi, DAS, BYOD), cloud-based services, virtual desktop, hosted/managed services, internet-of-everything and Software Defined Networks (SDN).